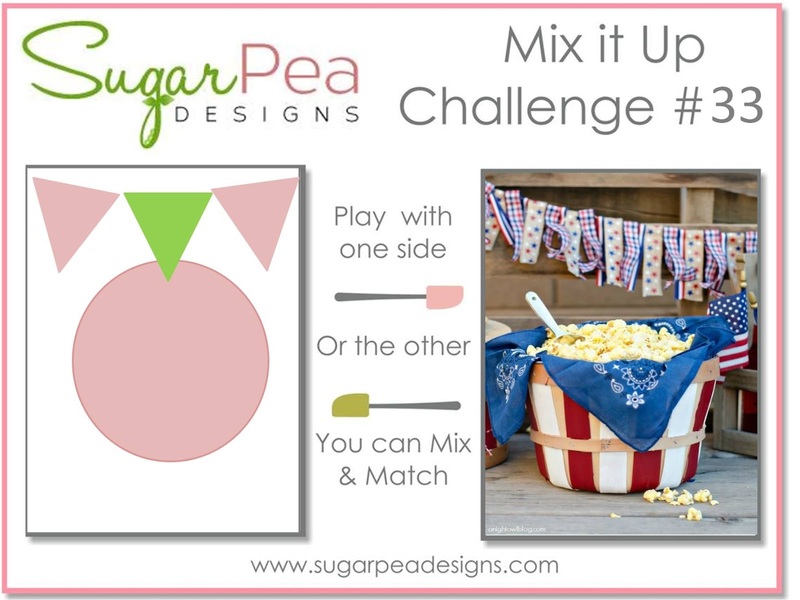 There are still a few days to play along with this month's SugarPea Designs Mix it Up Challenge! As usual, I tried to combine the two inspiration pieces, but as usual didn't quite get the sketch exactly right! lol! I tried it with more balloons, but it just felt crowded and not 'me'. 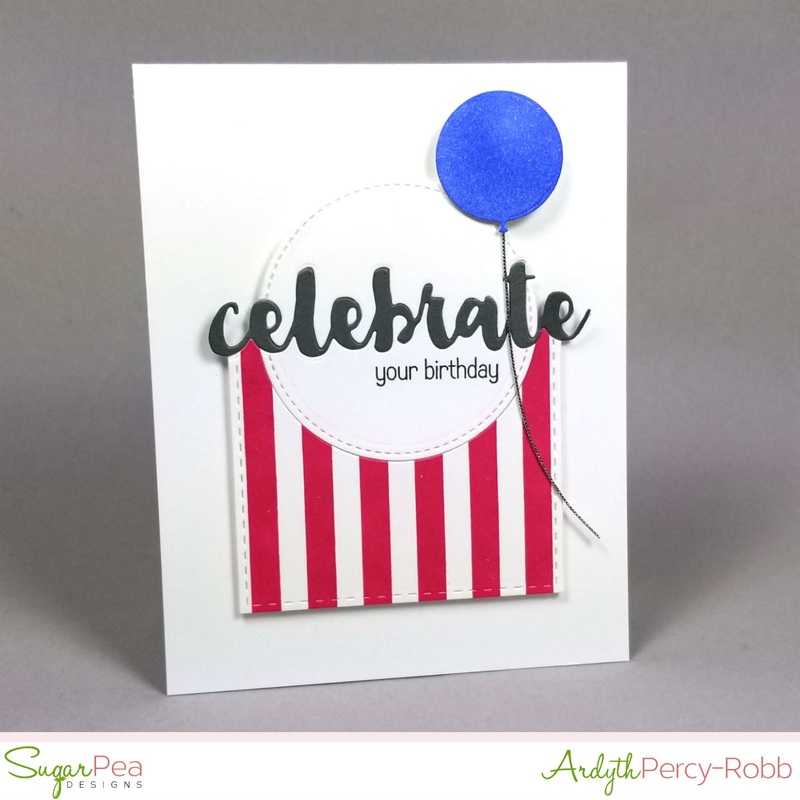 I started by stamping the Striped Background onto a panel and then cut that with the stitched rectangle die from the Birthday Journal Card set (what a useful set of dies - so many good basics and birthday possibilities!) I then inlaid the stitched circle from Beautiful Bauble into that, and then inlaid the Celebrate die into the two of them. A little fussy, but not difficult. When I did all that inlaying, I didn't put the 'top' of the rectangle die back on, which resulted in this fun shape. I finished the sentiment with a masked partial sentiment from Under the Weather. I'm also going to link this up to CASology's Balloon Cue Card. Great take on the challenges. Love your clean, crisp design. That pop of gorgeous blue really makes the red and white pop. Super. 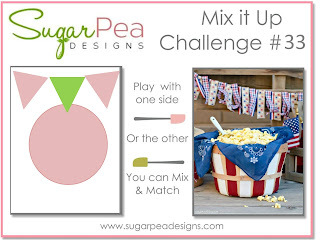 brilliant - that popcorn container!